Salinas, CA. -- September 9th, 2018 --Following an incredibly hectic start to the Monterey Grand Prix at Laguna Seca Raceway, the No. 96 LIQUI MOLY BMW was involved in an incident sustaining heavy damage forcing the red, white and blue BMW back to twelfth position. Bill Auberlen charged through the GTD field completing several impressive passes to make it up to second position in round ten of the WeatherTech SportsCar Championship on the 2.2-mile 11-turn circuit. With just about one hour and twenty five minutes remaining, Auberlen was forced to pull off track due to mechanical issues resulting from the early rear end damage. Ultimately the No. 96 BMW M6 GT3 was forced to retire early from second position. The No. 96 retired just before the final pit stop and driver change to get Robby Foley behind the wheel to finish out the race to make his fifth appearance with Turner Motorsport. With round ten complete, the Turner Motorsport team will prepare for the final race of the 2018 season at Road Atlanta in October. The 10 Hour Petit Le Mans is October 13th on the 2.54- mile 12-corner circuit in Braselton, Georgia. Stay connected. Follow us on Facebook & Twitter to get up to the minute updates from the race track. Turner Motorsport is the leading BMW tuner in North America, bringing technology and expertise from the racetrack to the street for over two decades. 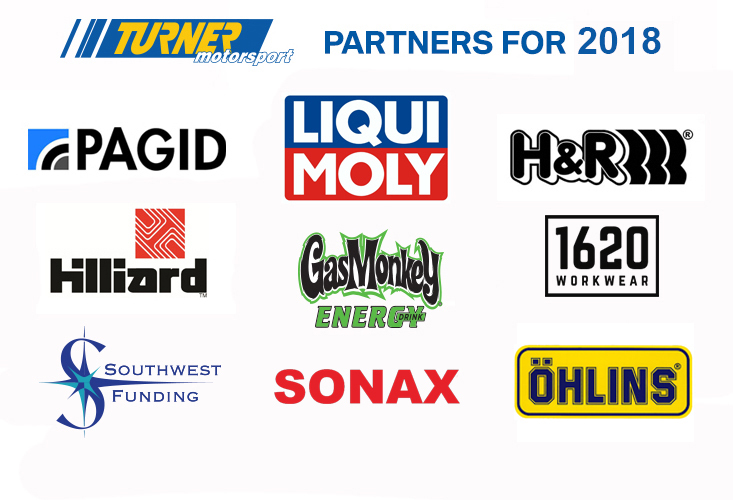 Since 1993 the Turner Motorsport Team has competed in over 380 professional races, winning seven professional racing championships in four different series since 2003. The most recent being the 2014 Team Championship in the GTD-class of the TUDOR United SportsCar Championship. Their success is passed into every component that Turner Motorsport designs and sells through their comprehensive website and performance showroom. Our Race Team, R&D Engineers and Sales Team work together, ensuring practical knowledge and state-of-the-art engineering flow in both directions. Few companies in North America can claim such a close relationship to what they sell and what they race. Please click here to check your local listings for both Fox Sports 1 and Fox Sports 2.